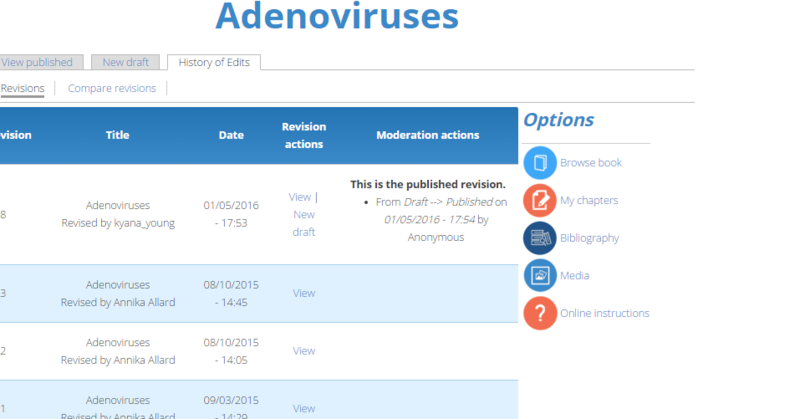 History of Edits: Under this tab you can view all recent changes that have been made to the chapter; this includes the current revision, any unpublished revisions, and previous revisions that have been archived. You can also view the latest revision submitted, edit the last submitted revision, compare revisions (with any status: Pending, Current, or Archived), and delete a revision. 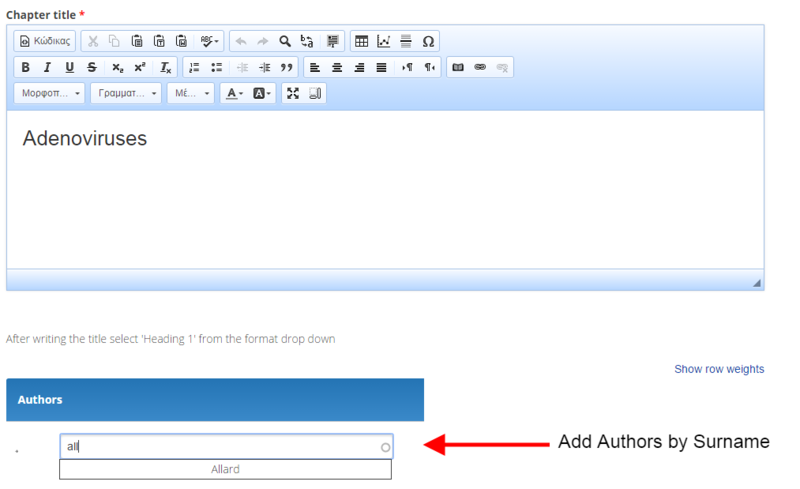 New Draft: Create a new draft edition of the Chapter. Under the chapter title, click on the ‘Edit Draft’ tab. 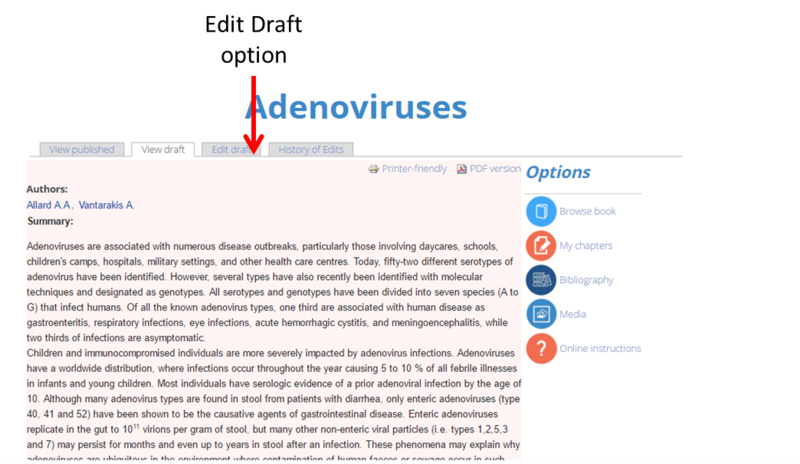 This will bring up the editing page, with options to edit the chapter title, add or remove authors by last name, as well as the content of the summary/abstract and content in the body of the chapter.